We shoot in a documentary or reportage style, following our instincts to anticipate a moment and tell the story naturally with no contrived posing, prompting or intervention. 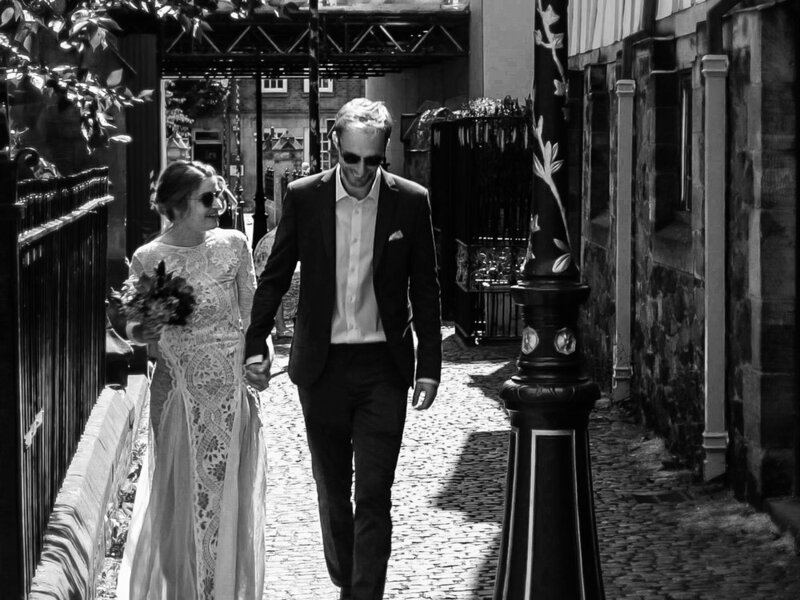 We provide both a dedicated videography or photography service, but also offer a unique 50/50 option that provides filming and some photos to give you the best of both worlds. Other types of events would offer similar coverage as the below packages with all the major parts of an occasion being covered. 1 Boxed Luxury Blu-ray/DVD Combination Set, 2 further copies on DVD or Blu-ray and a USB stick . Feature length film incorporating all of the ceremony, speeches and first dance in their entirety. A minimum of 200 photos as both high and low resolution images, provided on a USB stick plus an online slideshow. Please take a look at our Wedding Photo Gallery. Filming of the ceremony, speeches and first dance in their entirety and includes either the Pocket Highlights Film or Online Trailer. Aerial filming is available as an additional extra. Please ask for details.